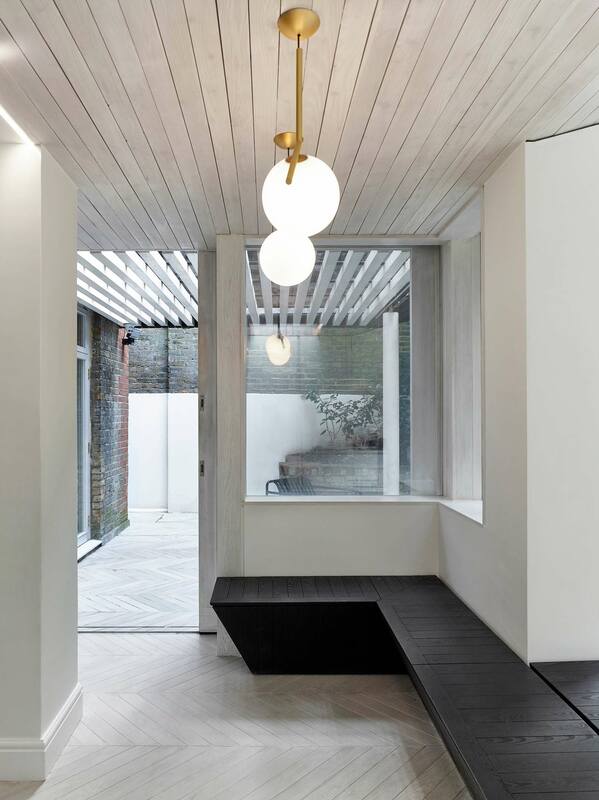 Burnt House - Hayhurst and Co.
Set amongst the mature rear gardens of the Maida Vale Conservation Area, this small, rear extension transforms the basement flat of a large Victorian terrace into a light-filled, family home that opens out onto its rear garden. 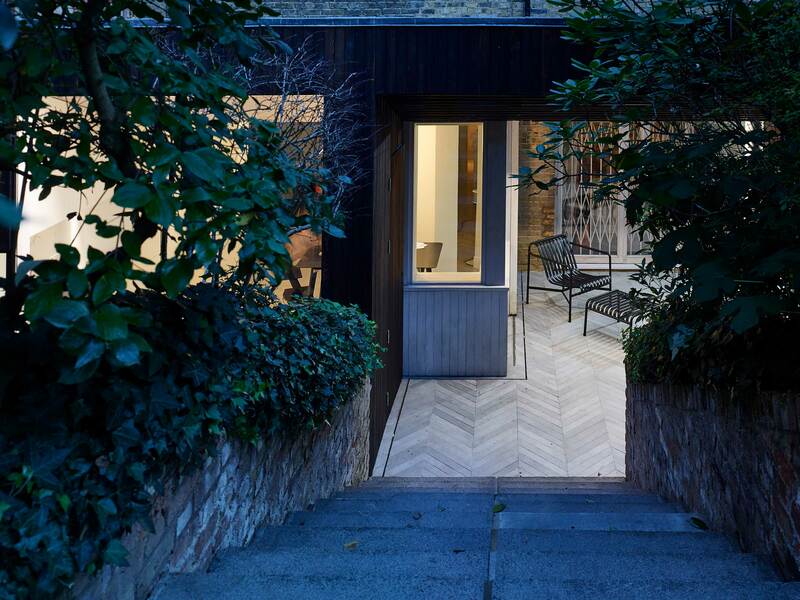 The brief for the project was to create a timber clad ‘outdoor’ room that blends with the rich sylvan character of the garden. 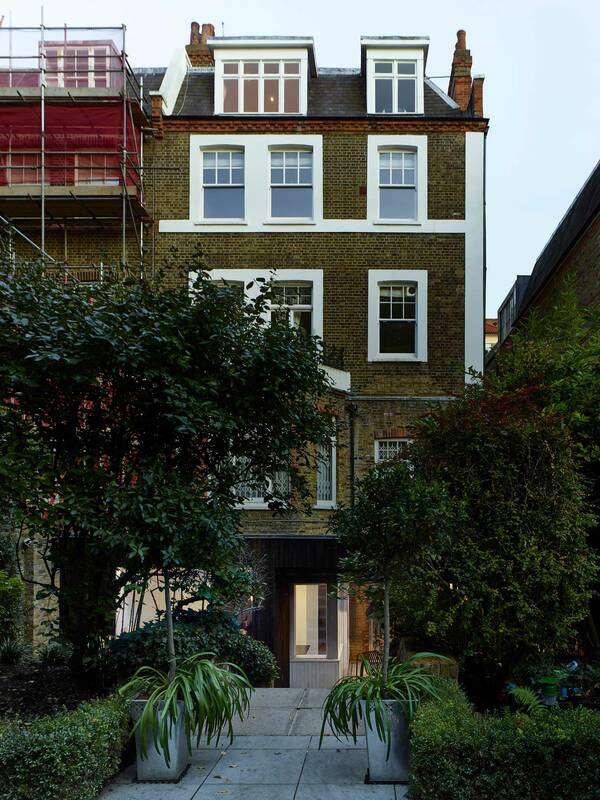 The design creates a threshold between the garden and the traditional character of the Victorian building. 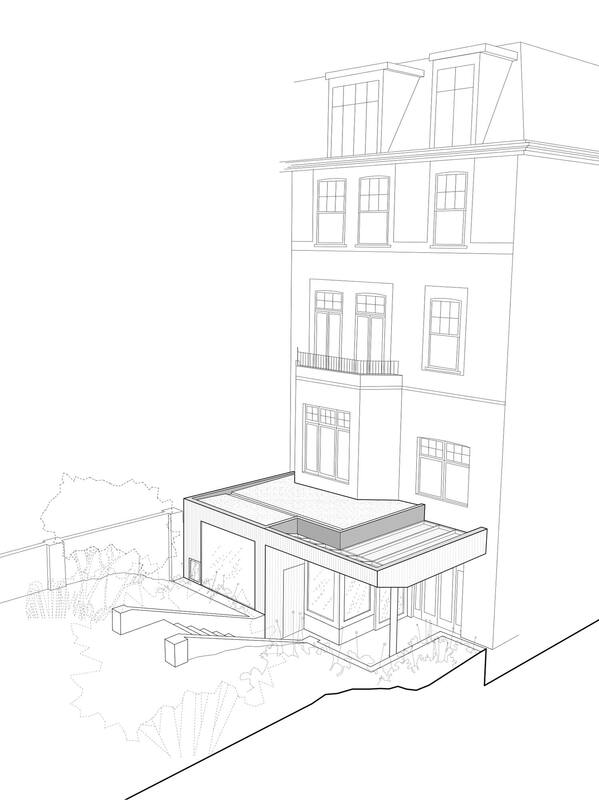 The single-storey extension is built out from the basement level to provide a new kitchen and dining space to the flat. 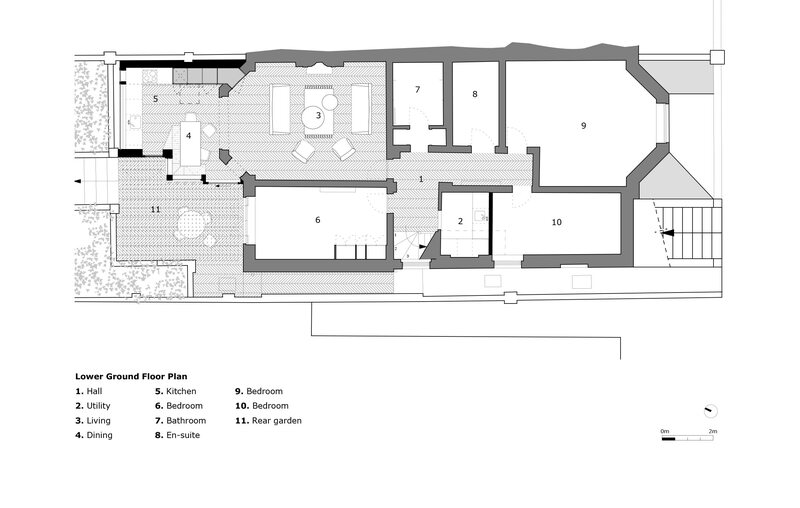 The ceiling to the extended room pitches up, towards the steep slope of the banked garden, tilting upwards to maximise the view and draw as much natural light in. 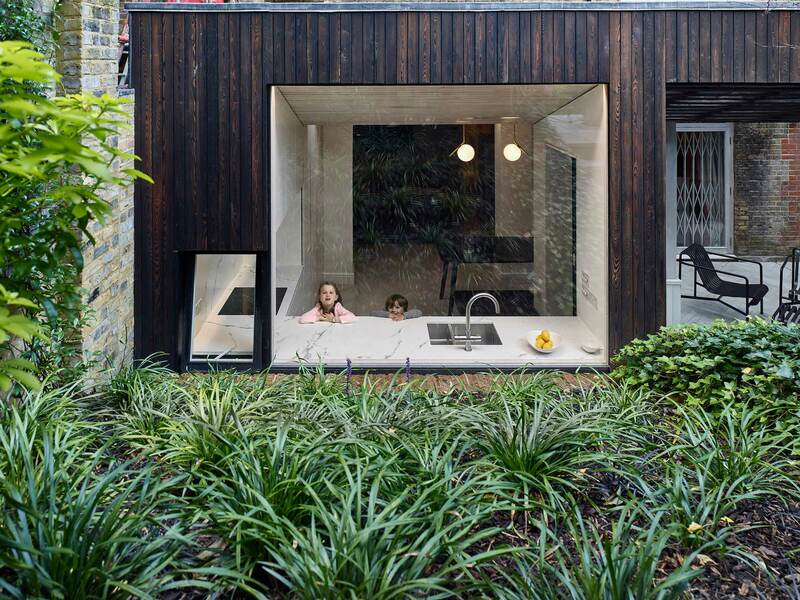 The large rear picture window frames the banked garden, creating a ‘landscape’ view from inside the home and providing an ever-changing seasonal aspect. 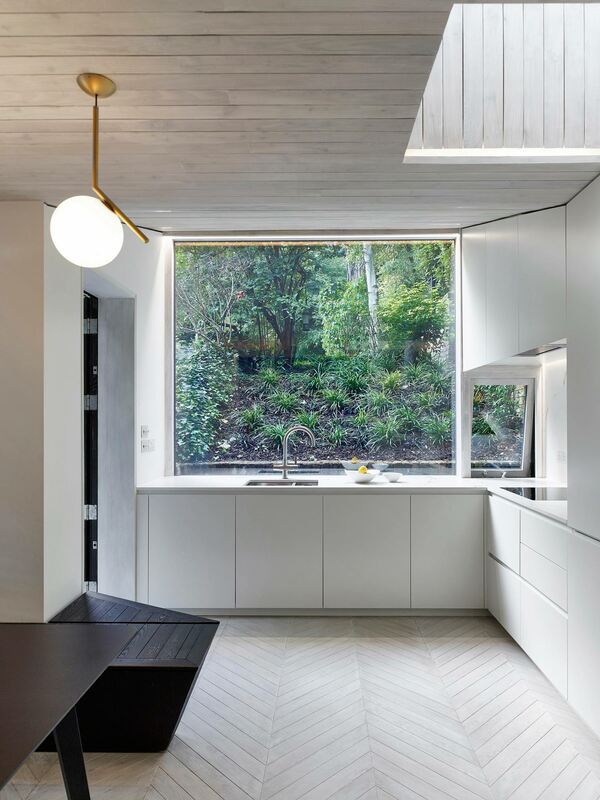 Ventilation is provided by the small opening window between the kitchen worktop and the high-level cabinets above. 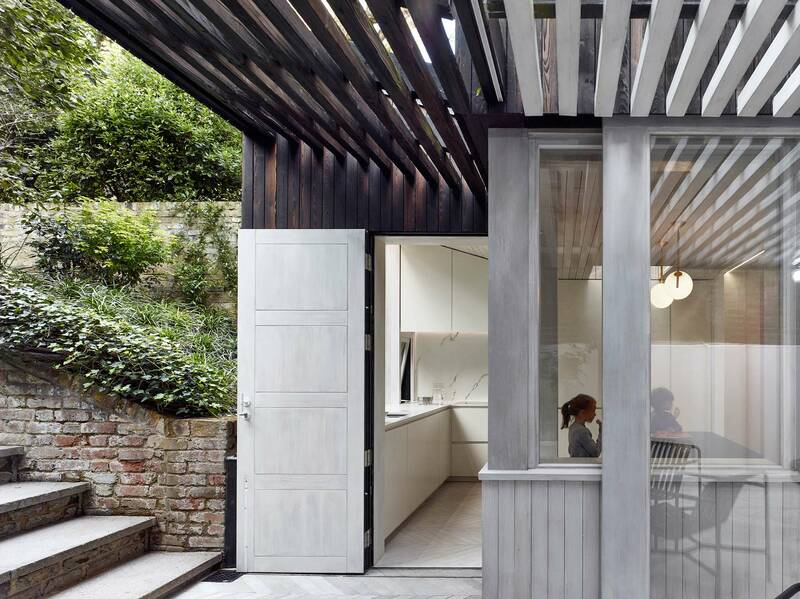 The extension includes a pergola, timber canopy that continues the pitch of the internal ceiling and provides a partially covered, private terrace that feels as if it is an extension of the internal spaces. 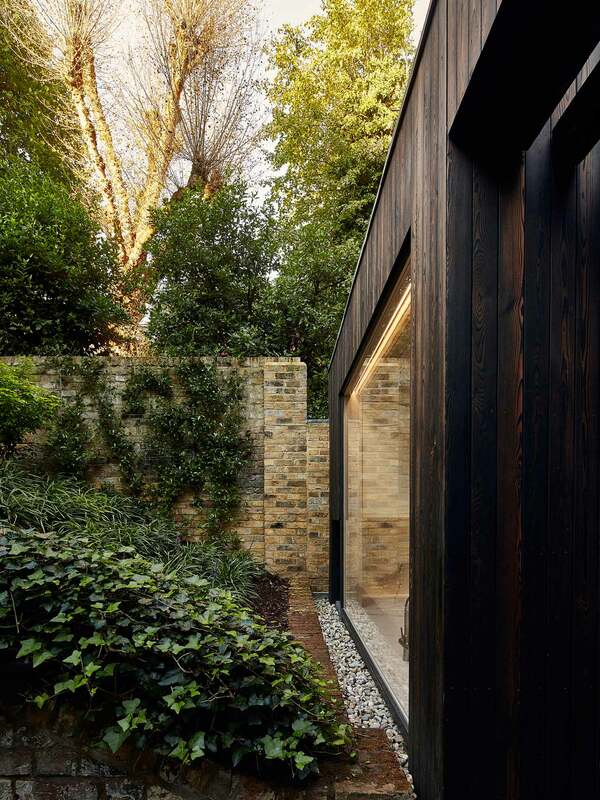 Charred larch and white oil finishes to the timber boarding provide two contrasting set of linings to the extension. 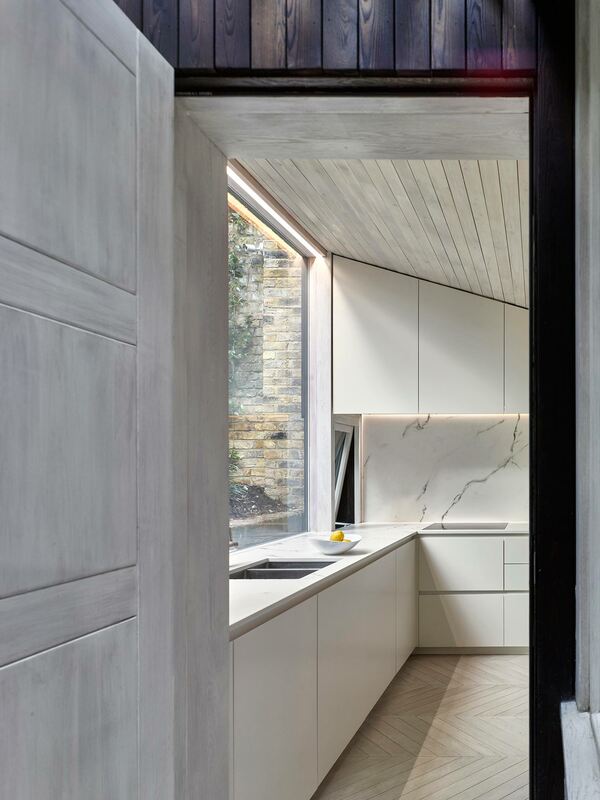 The use of the two finishes allows the extension to recede into the landscape but at the same time increase the reflection of natural light within the home. 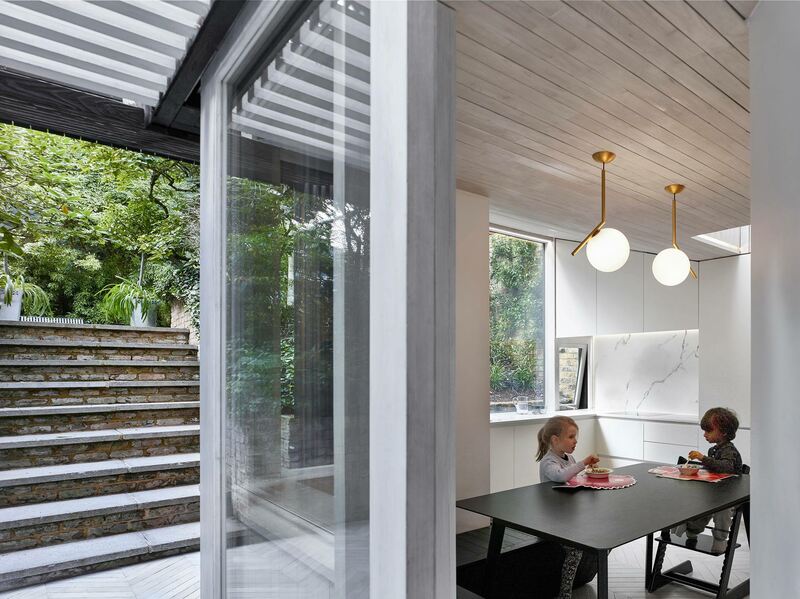 The use of timber in this way sets the new extension within its landscape and provides a contemporary interpretation of the traditional conservatory.